In celebration of International Women’s Day on March 8, the Social Services Network joined forces with the City of Markham to honour women leaders in the community. Local community leaders who have brought change and growth to the empowerment of women were celebrated at the Markham Civic Centre. 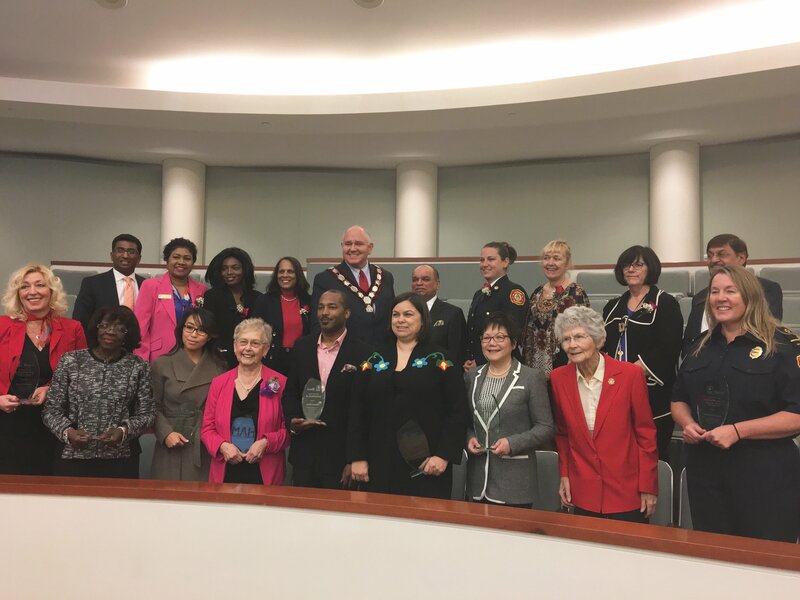 Regional Councillor Nirmala Armstrong, Honourary Chair of the local International Women’s Day celebration joined Mayor Frank Scarpitti and council members in recognizing the accomplishments of local women. 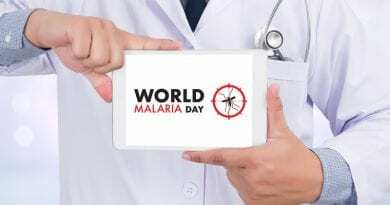 Speakers at the event included Dr. Dionne Duncan, Senior Manager Development and Advancement of International Missions, and Nicole Brugger, Training Officer, Markham Fire and Emergency Services. Several community leaders were recognized for their accomplishments, including Captain Andrea Beneteau (pictured) of the Fire and Emergency Service, who will complete 30 years of service when reaching retirement in four years. Mayor Frank Scarpitti addressed the large and diverse crowd of 400 at the onset by acknowledging the contributions to the community by Councillors Nirmala Armstrong, Karen Rhea, Valerie Burke and Amanda Collucci. Scarpitti spoke of the need for continued change on issues like gender parity and the key to it being education. He also injected some humour into the event by acknowledging the male “slouches on council”, Jack Heath, Joe Li, Don Hamilton and Logan Kanapathi who were all in attendance. Guest speakers Dr. Dionne Duncan, Senior Manager, Development and Advancements International Missions, spoke on the importance of education and leadership. She also spoke on her frequent journeys to developing countries, which cost her sight and hearing in 2008. She would not have recovered without the healthcare she received back home in Canada – a privilege she does not take for granted, and strives to help provide to less fortunate nations today. Nicole Brugger, a newly appointed training officer with Markham Fire and Emergency Services, provided a synopsis of her journey to realizing a non-traditional career path. It was the women’s movement in non-traditional roles that began in the 80s and 90s which inspired her to pursue her goals. Whether it was training to be in the WNBA, coaching junior girls basketball or track and field events, Brugger wants young women of today to follow their dreams. “You can be anything that you want to be as long as you put your mind to it, even if it’s the road less travelled. Get your feet dirty, go into it because you can do it – anything – it just takes practice, a little bit of skill. 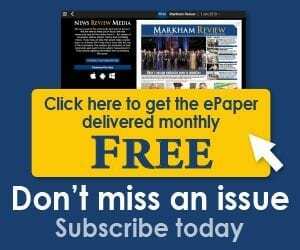 We all have the capability to do anything that the guys can do,” said Brugger. Kannan Kanagaiah CEO of official event sponsor, OHM Developments coined the day as a global celebration of all women for their political, social and economic achievements. He also pointed to the impact that his mother, wife and daughter have had on him throughout his life and the importance of empowerment for every girl and woman. Ten year old Rachel Remisiar introduced the awards portion of the ceremony with a stunning vocal rendition of Bruno Mars hit Grenade. She was followed by Angie Seth, Global News Anchor, blogger and advocate for women’s rights, who guided award recipients to their photo ops.